Make a perfect first impression by learning how to describe the place, country, city, department, and field in which you work. Do you use IN, ON, or FOR for these things? Find out in this business English lesson. 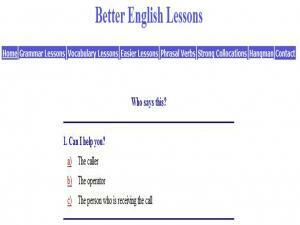 A list of exercises all related to Business English. Multiple choice questions check your understanding of key phrases and vocabulary. An abbreviation is a shortened form of a word or phrase. In written English, we use abbreviations to shorten common sentences to save time. 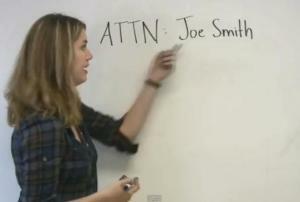 This lesson will explain some common written abbreviations that are used in a business setting. The abbreviations explained are: ASAP, RSVP, ATTN, CEO, NO., N/A, PR. 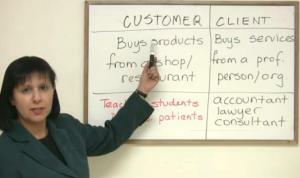 Business Vocabulary: Customer or Client? In your business, do you have customers or clients? What’s the difference, anyway? Learn more in this short but informative Business English lesson. Practice useful interview expressions and become familiar with key questions before your interview! Choose the difficulty level and read the interview question at the top of the screen. 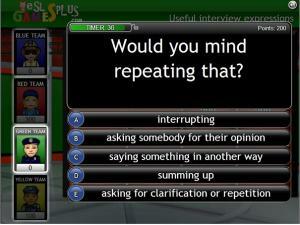 Then choose which answer correctly explains what the interviewer is asking you. Good luck! The Business Podcasts are interviews focusing on working life in the UK. The podcasts offer authentic listening practice for Upper Intermediate to Advanced students. There is a tape script and a worksheet to download and work through while listening to the audio. Materials from the British Council aimed at helping you reach your professional aspirations by developing your English skills. 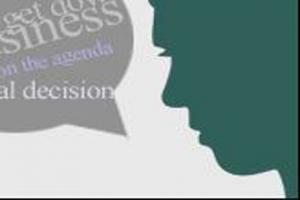 There is a series of podcasts and articles on a range of business and professional topics, all accompanied by language practice activities and a video series that covers the process of recruiting. Lists of vocabulary, useful phrases and terms used in all areas of business, guidelines for letter-writing and presentations, business conversation topics,exercises, idioms and word games. 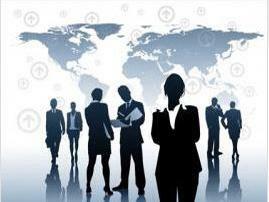 English dominates the world of business; don't be left out! 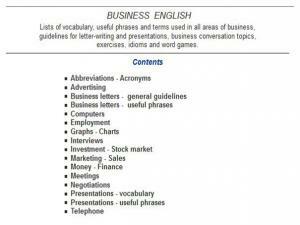 This page is constantly updated with a new video lesson related to English for business. You can access the archive of past video lessons in this topic from this very same page if you would like more in-depth practice with Business English. What are you responsible for? Who are you responsible to? Learn how to answer these basic Business English questions easily and correctly. 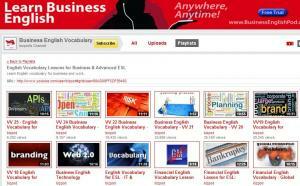 Learn Business English with video ESL lessons from Business English Pod. Choose from a number of Business English topics, including Project Management, Finance and Accounting, Bankruptcy, Marketing and Commercial Law. If you use English in an office setting you'll want to avoid accidentally offending others or creating communication problems. 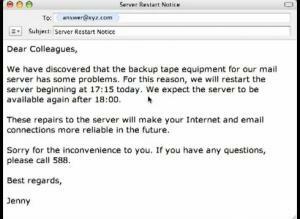 This video lesson edits a sample email delivering bad news about the server. Learn phrases to use and to avoid when giving bad news to your office mates. This YouTube Channel is dedicated to business-related vocabulary video lessons. 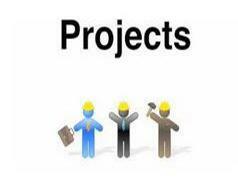 The presentations are based on PowerPoint, but are very interesting and provide a lot of information. 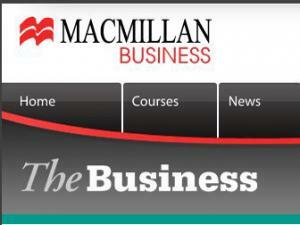 Topics range from technology to finance to office work and more! Great for more advanced learners.